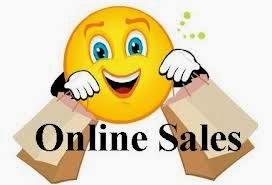 Many of us do sales online as our business, and for some it is a hobby too. When we set up shop with different venues, market places, platforms, blogs, and websites we often have many questions as we set them up. Colors, do we use animated pictures, do I need a template, should I have a signature with my emails, what about my avatar, and do I need a banner? A lot of things to consider, and this is just some of it to begin with. A lot we can discuss, and this opens the door to many things. I am going to start this off with a simple subject now. Avatars, and banners is an issue that I see discussed quite often with different places like Etsy, Ecrater, Artfire, our blogs, and of course some of our websites too. Is there a true answer to this? I have yet to find one that is 100% correct, and says it is the law to do it. But, when we set up shop online we like to treat it like having our own brick & mortar store. Appearance can grab attention, and it can bring the customer in for a closer look. Don't get me wrong, our products definitely bring them in to look, read, learn, and hopefully purchase. As they enter sometimes appearances can reflect on you as a seller too. So, do we need an avatar with some of our shops? Do we need a banner with our shops as well? Is it really necessary, and does it really matter? In some ways yes it can make a difference with some shoppers. When choosing these things what do we choose? What is the best thing to use? Many have said that we should show a picture of something that we sell, or have sold. That is a good point. It is also mentioned to show a picture of ourselves with our avatars. I have also seen shared that we should not have these things to busy, don't have too much frill, and then there is also colors too. Yes, it is nice to show pictures of items you sell, give the customer a feel of what it is you do and offer, but I myself also think it is good to show a little bit of yourself. What I mean by that is show a little bit of who you are, your personality, and not only show what you sell, but let the customer feel comfortable entering your shop with a welcoming feeling of who you are too. I know, it's a bit over whelming right? Don't let it intimidate you. Experiment with it a bit, and get some feed back from customers who buy from you, and from others within your same niche too. I myself like to keep things simple if I can. Yes, I use the same banner....most of the same banner pretty much everywhere I have set up shop. I try to stay with the same colors, and use the same avatar as well. I myself feel that this helps with recognition when shoppers are out searching that big old internet for things they want. Does it help? I have had some comments from past customers and acquaintances meeting up with me on Facebook, or maybe Google+ asking if it was really me, they remember me from this or that place, and it was nice meeting up with me again. Sometimes the comment I thought I recognized you which is a good feeling. Some like to change things every month with their avatars, and banners too. Maybe not every month, but at different times they will change. It works well for some, and others also have a different view with this. I would Love to change my avatar, and banners myself. I have often been tempted to, but at the same time I decided to stay with everything the same. I am still someone small, still trying to grow, and trying to be recognized by others as well. So, to keep things simple again, and not confuse anyone I keep the same. Eventually I will change things out, and maybe then I will have someone else design things for me. Till then I do it myself, and keep it simple being LilacsNDreams. I know I probably didn't give you complete answers to some of this, but I hope it gave you a little bit to think about as you venture onto your online shops. I appreciate you sharing your time with LilacsNDreams, and hope to see you again soon. Take care, and Have a Happy Day!